Third-party solution providers include ticketing, security, medical, IT, logistics, wholesale and marketing companies. Services created include ticket validation, access control, asset tracking, time & attendance, coupon & loyalty reward redemption, inventory tracking, product ordering and lead retrieval. Export scan results for generating reports. The codeREADr app is available on Apple, Android and BlackBerry devices. The device’s built-in camera reads most 1D barcodes found on consumer goods; the Code 39 and Code 128 commercially deployed 1D barcodes; and QR and Data Matrix 2D barcodes now becoming very popular for print & mobile tickets and coupons. 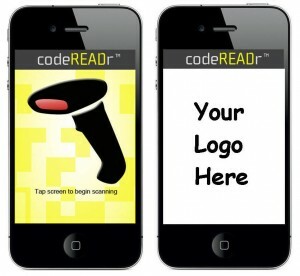 Stay tuned to our website and blog to learn more about the codeREADr smartphone scanning app!